In which I plug another project by pals of mine. § July 25th, 2012 § Filed under pal plugging Comments Off on In which I plug another project by pals of mine. 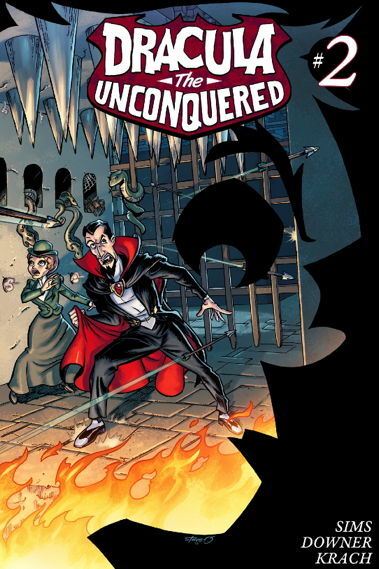 The long-awaited second issue of Dracula the Unconquered is finally out! Chris Sims, Steve Downer, and Josh Krach bring you another installment that’s just as awesome as the first…so awesome, you won’t believe it only cost you a buck. Both installments are available right here at this site I’ve linked to, like, five times in this post, so hopefully you’ve already clicked over there by now. You can find a generous six-page preview on the site as well, in case you’re worried about risking one whole dollar. By the way, if I’m plugging some friends’ projects on my site, and you don’t like my friends for whatever reason? Guess what? I don’t care. Go write about it on your own Tumblr or message board or whatever, and keep it out of my comments. Thanks.